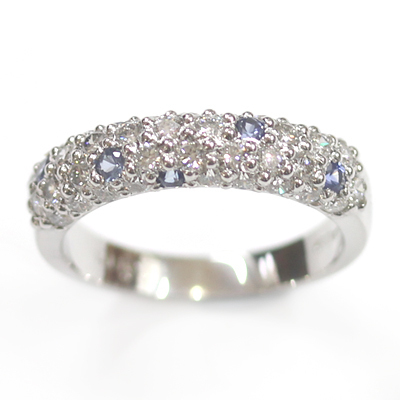 18ct White Gold Diamond and Sapphire Pavé Set Eternity Ring — Form Bespoke Jewellers Ltd.
A sparkling eternity ring pavé set with diamonds and sapphires. The customer visited our Leeds showroom in West Yorkshire looking for a bespoke, handmade eternity ring. Inspired by our exclusive Eternal collection, they knew they wanted to include a pavé setting in their design. Pavé setting is when the stones are set very close together with polished grains. The polished grains create a wonderful sparkling illusion, almost like even more tiny diamonds. 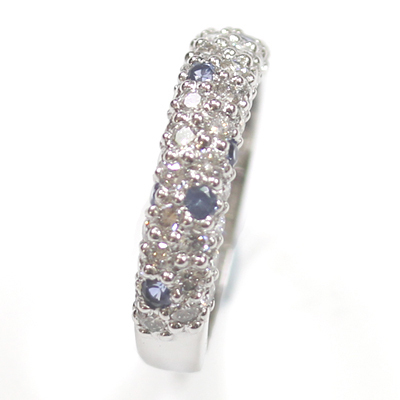 The customer chose to pavé set just the top half of their eternity ring for comfort. 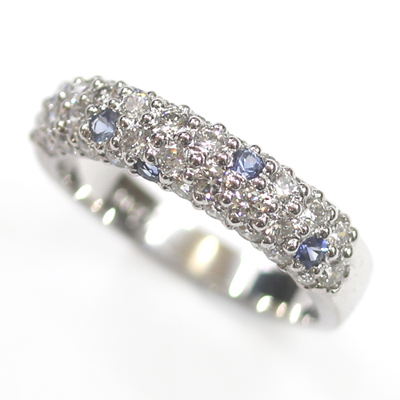 Alongside the guidance of our jewellers, they chose where they wanted to a have a selection of cool blue sapphires set. The round brilliant cut diamonds were then set in between. All the diamonds were of matching size, colour and clarity to ensure a beautiful flawless finish on the ring. The ring was cast in 18ct white gold and hand set, finished and polished in our Leeds workshop.